2006-2010. $11 million approximate cost. 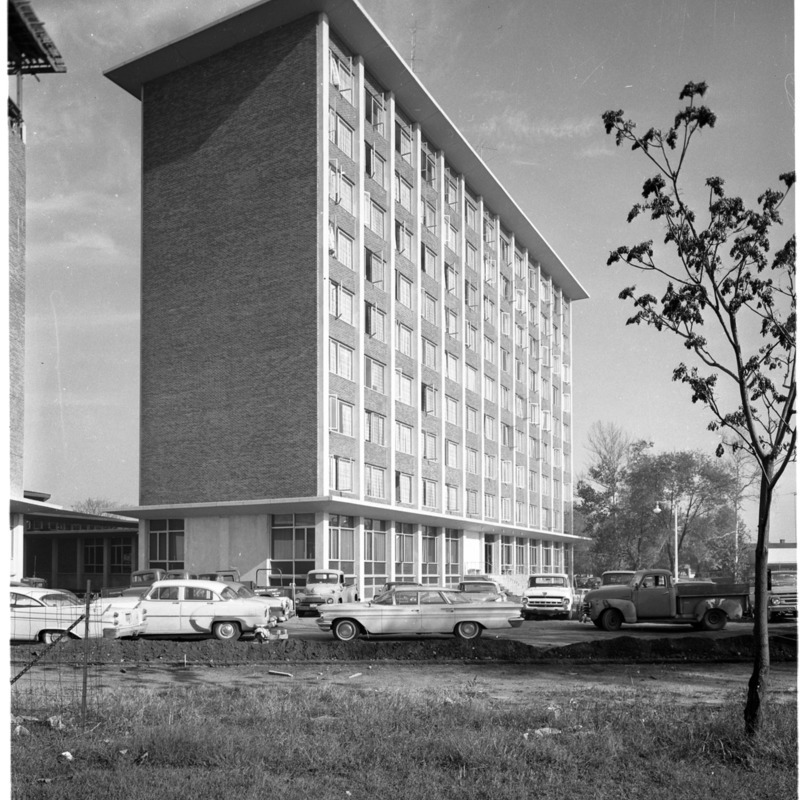 Sandison Hall, originally designed and constructed with Gillum Hall dormitory, opened in 1962 and underwent extensive remodeling in 1988. The nine-story structure houses 300 students and provides accommodations for on campus fraternity housing. It is named after Howard Sandison, alumnus (1872), member of the faculty, and vice president of the institution (1881-1917). “Sandison Hall,” Cunningham Memorial Library Digital Exhibits, accessed April 21, 2019, http://stateit.indstate.edu/document/147.